Visits to online video sites, like YouTube, have grown by 80% over the last few years. By 2015 the current number of video viewers will quadruple. A video attracts two to three times as many viewers to your website as other forms of media and marketing. Almost half of people will seek out product/service information after seeing it in a video. But enough about the numbers. In addition to statistical reasons why your small business should be leveraging video, we have a number of business-growing benefits. The link between video and SEO is easily understood by understanding that Google owns YouTube. So, they care deeply about video. Their skewing-to-video ratio actually makes your video 50x more likely to show up on the first page of Google than your blog posts or homepage. This means more exposure from video than from some other forms of SEO. People convert from ‘potential’ to customer because of emotion—just ask any late-night infomercial creator. Emotion is huge and video offers your business the opportunity to affect emotion in your potential clients. Jump on it like a cupcake because emotion-affecting opportunities don’t come along everyday for small businesses (or large ones). Defining yourself and/or your company as an expert in their field is hard. Where does one even start? The answer: with video. There is a sense of legitimacy in video, especially ones with a high production value. Videos are one of the best ways to build your industry-expert status, alongside being published in high-level industry publications (if you are published—know that people who Google you/your company need something to find). Every business owner has a passion for their business that often transcends reality. You love your business and are more enthralled and in love with it than any of your potential customers—but that doesn’t mean that your enthusiasm shouldn’t become infectious. Sell your business with your greatest asset, your passion. Turn your passion into a fun, invigorating video that sells your company unlike anything else. 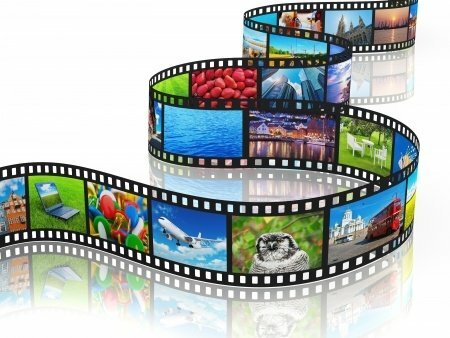 The benefits of using video marketing for your small business are unique and differentiating. They showcase your business in an original—and vital—manner that puts you above your competition. To learn more about how video marketing can help your business—contact ReferLinks today. This entry was posted in Video and tagged Blog,Blogging,Google,Marketing,Online Marketing,SEO,Video,Video Blogging,Video Marketing on September 24, 2013 by ReferLinks Online Marketing.